Here’s the usual workflow with QuickAdminPanel. 2. 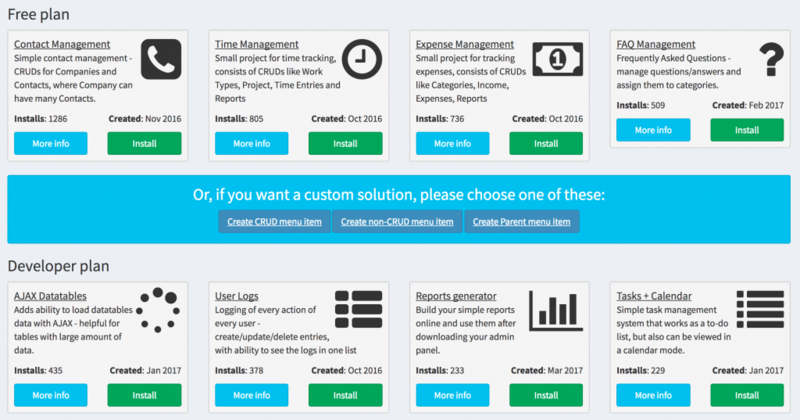 You add functionality to your project online – by creating menu items and installing modules. 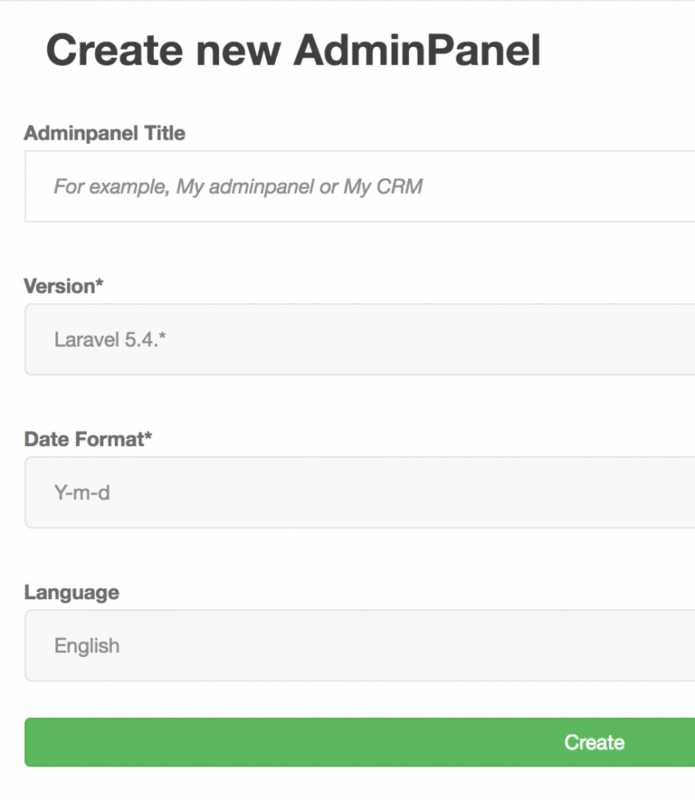 You can test the admin panel online, you see exactly how it will work. 3. 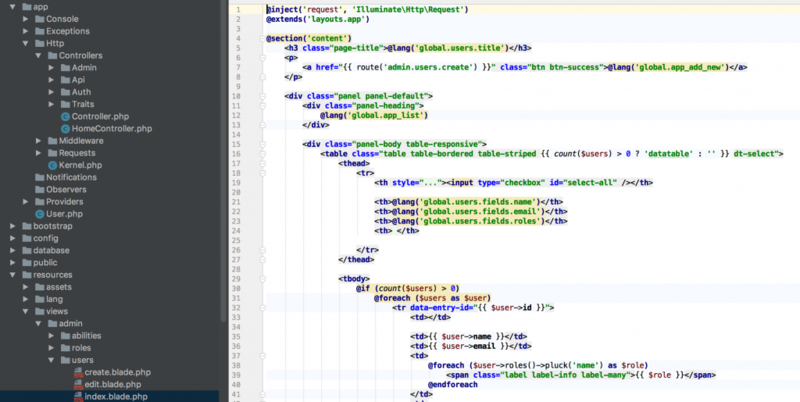 In the background, system is generating Laravel files for you. 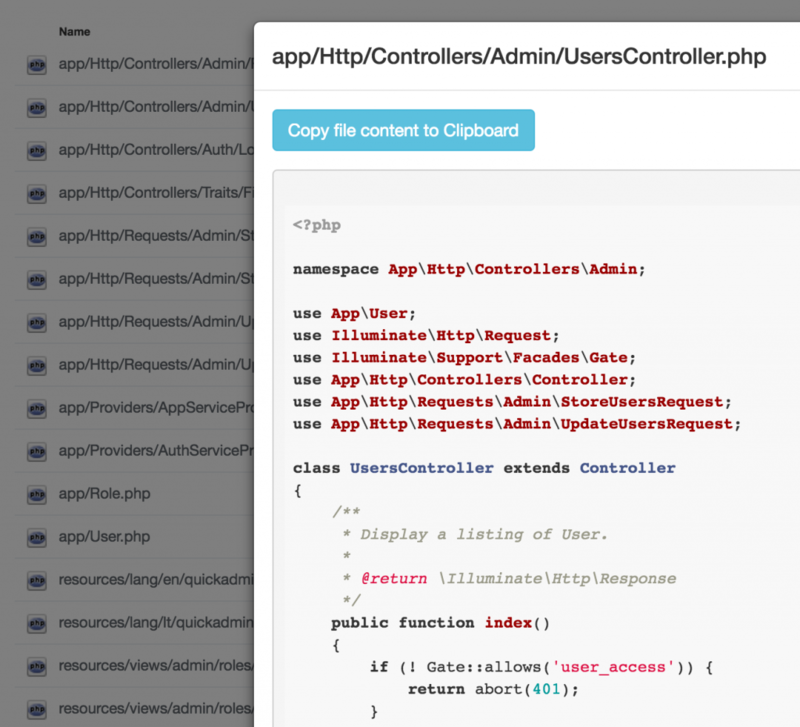 At any time, you can click View Laravel files to see the code for any of them. – That’s it, enter your main URL and log in with admin@admin.com – password. 5. 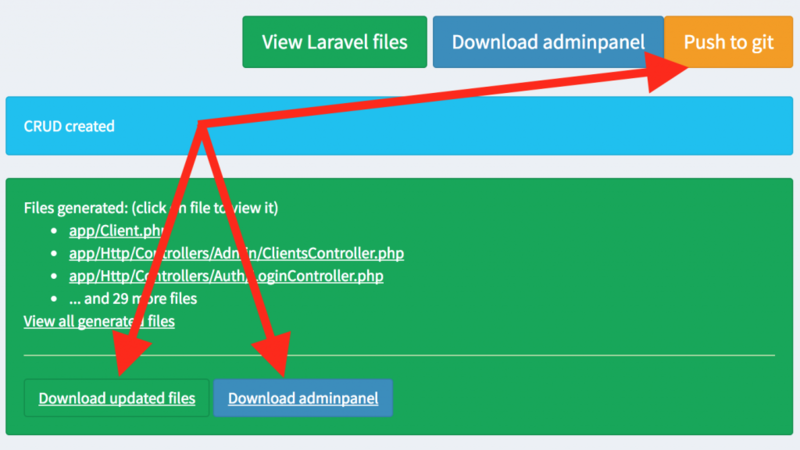 You can make any changes you want in the downloaded code – it has no dependency on our package after download, it’s a pure Laravel code. – Or use Github/Bitbucket integration available in our Premium Agency plan. How do we create crud from database. This was mentioned in your faq that crud can be created from existing database. But the procedure to create such type is not mentioned anywhere. Hi, this function is called Import from SQL, and it is available only in Agency plan of classic QuickAdminPanel, from what I see you subscribed to Vue.js version which doesn’t have import function. How can we add search/filter on list views ? Did not find any example in your tutorial. We use Datatables.net for table views, so you should check Datatables documentation for that. How do I assign automatic values? per instance, the user_id who created the record. I managed to do the relationship but don’t know how to assigned the field automatically without to be an input.